Kenko REAL PRO 0.4x SUPER WIDE LENS is optical lens that is designed to be attached to smart phone or tablets with built-in camera to get 0.4x wide angle images. Suitable for group photos, landscape and snap photos. Kenko REAL PRO 0.4x SUPER WIDE LENS is a super wide angle optical lens made using fine processed glass. SUPER WIDE LENS creates 165°field of view image. 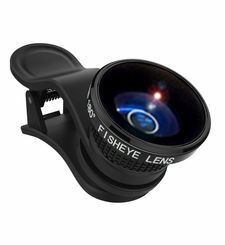 0.4x SUPER WIDE LENS comes with universal clip that is attached to smart phone, tablet or other gadget. It will increase the possibility of smart phone and other gadget cameras allowing you to make unique and astonishing photos. Kenko REAL PRO 0.65x WIDE/MACRO LENS will increase the possibility of smart phone and other gadget cameras allowing you to make unique and astonishing wide angle and macro photos. More and more people recognize the smart phone as a high-performance camera. It is difficult to deny that smartphone with its advanced camera lens system and editing tools will continue to conquest the market in quite a confident manner. We believe that smart phone photography as an autonomous genre will be developing further providing a user bigger possibilities to express himself. This is a new offer from Kenko - a range of optical instruments for a smartphone, that will help you to show YOUR hidden talents to the world. In spite of the fact that there is a big competition out there, we introducing simple and versatile Kenko Real Pro clip lens system with better quality and better performance. Become an artist with Kenko REAL PRO 0.4x SUPER WIDE LENS. Super wide angle lens is widely used in photography. Take an advantage of 165°when shooting landscapes and snap photos. Camera lens field of view is often not enough for desired framing, especially in narrow room or in circumstances when you cannot take steps back to cover the whole view you want to capture. 0.4x super wide lenses will serve great deal when you take group selfie photos. Camera angle of the smart phone camera will need additional conversional lens. 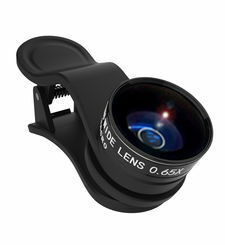 Kenko REAL PRO 0.4x SUPER WIDE LENS comes with excellent optics that will not let your expensive smart phone camera down. 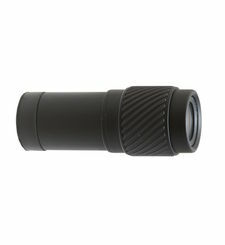 Optics with multi-layer coating precisely covered in aircraft aluminum alloy body finished by anodic oxidation will drastically change your image, but not change the quality. Kenko REAL PRO 0.4x SUPER WIDE LENS comes with universal clip. Clip has a unique and sophisticated design that provides best performance. Thanks to its exclusive construction clip is compatible with up to 30mm wide gadgets and monitors with built in camera. Clip has a special stabilization plate that provides stable and firm clipping even if the surface of the gadget is inclined. The silicon pad will prevent lens system from slipping off the gadget and help to keep optical axe right in the center. Clip comes with metal chain to keep lens always at your side and not miss the chance. Metal chain can be removed in order to freely customize lens system to your own life style. Kenko REAL PRO 0.4x SUPER WIDE LENS is optical lens that is designed to be attached to smart phone or tablets with built-in camera to get 0.4x wide angle images. Suitable for group photos, landscape and snap photos. Kenko REAL PRO 0.4x SUPER WIDE LENS is a super wide angle optical lens made using fine processed glass. SUPER WIDE LENS creates 165°field of view image. 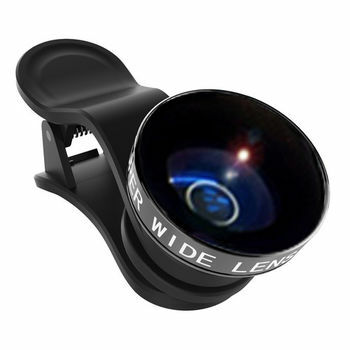 0.4x SUPER WIDE LENS comes with universal clip that is attached to smart phone, tablet or other gadget. It will increase the possibility of smart phone and other gadget cameras allowing you to make unique and astonishing photos. Kenko REAL PRO 0.65x WIDE/MACRO LENS will increase the possibility of smart phone and other gadget cameras allowing you to make unique and astonishing wide angle and macro photos. The era of smart phone photography More and more people recognize the smart phone as a high-performance camera. It is difficult to deny that smartphone with its advanced camera lens system and editing tools will continue to conquest the market in quite a confident manner. We believe that smart phone photography as an autonomous genre will be developing further providing a user bigger possibilities to express himself. This is a new offer from Kenko - a range of optical instruments for a smartphone, that will help you to show YOUR hidden talents to the world. In spite of the fact that there is a big competition out there, we introducing simple and versatile Kenko Real Pro clip lens system with better quality and better performance. Become an artist with Kenko REAL PRO 0.4x SUPER WIDE LENS. Super wide angle lens is widely used in photography. Take an advantage of 165°when shooting landscapes and snap photos. Camera lens field of view is often not enough for desired framing, especially in narrow room or in circumstances when you cannot take steps back to cover the whole view you want to capture. 0.4x super wide lenses will serve great deal when you take group selfie photos. Camera angle of the smart phone camera will need additional conversional lens. What is special? Kenko REAL PRO 0.4x SUPER WIDE LENS comes with excellent optics that will not let your expensive smart phone camera down. 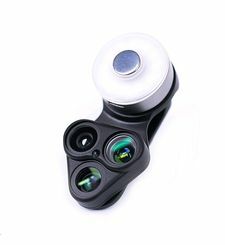 Optics with multi-layer coating precisely covered in aircraft aluminum alloy body finished by anodic oxidation will drastically change your image, but not change the quality. Kenko REAL PRO 0.4x SUPER WIDE LENS comes with universal clip. Clip has a unique and sophisticated design that provides best performance. Thanks to its exclusive construction clip is compatible with up to 30mm wide gadgets and monitors with built in camera. Clip has a special stabilization plate that provides stable and firm clipping even if the surface of the gadget is inclined. The silicon pad will prevent lens system from slipping off the gadget and help to keep optical axe right in the center. Clip comes with metal chain to keep lens always at your side and not miss the chance. Metal chain can be removed in order to freely customize lens system to your own life style. 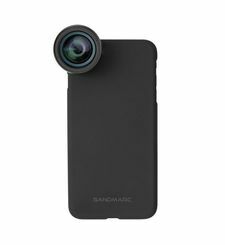 The most versatile lens system for mobile gadgets Kenko REAL PRO 0.4x SUPER WIDE LENS is compatible with a range of devices including iPhone 7, 6, 6+, 5, 5C, 5S, 4, 3; Samsung Galaxy S7, S7 Edge, S6, S6 Edge, S5, S4, S3; iPad 2, 3, 4, Air and many more.